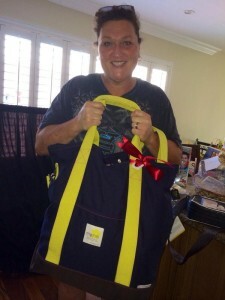 Dot Jones Poses with her 2014 Award Season Hollywood Swag Bag and GIVES BACK! We are thrilled that Dot Jones from Glee stopped by for her 2014 Emmy Swag Gift Bag from Hollywood Swag Bag! Thank you Dot for taking the time to help Hollywood Swag Bag Give Back!! We are thrilled that Caitlin took the time to pose for us with her 2014 Emmy Swag. Caitlin was on the Emmy Ballot for the Drama Series The Chosen! Congrats Caitlin! 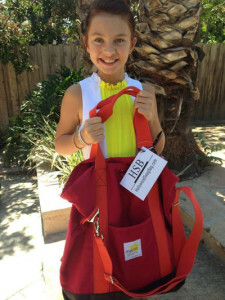 We are giving back in your name a BAG for the Bee Initiative. Thank you for GIVING BACK! 2014 Hollywood Swag Bag Red Carpet Gift Bag Press Release Goes Live! Ariel Winter Poses with her 2014 Red Carpet Hollywood Swag and GIVES BACK!